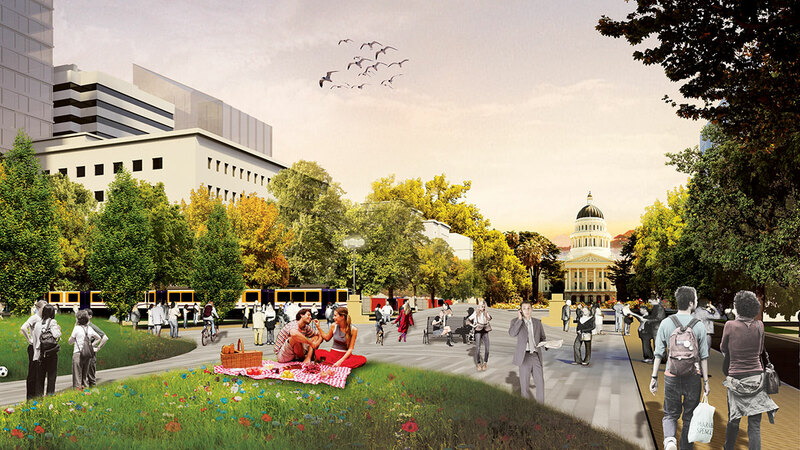 The Sac Catalyst Competition received almost 50 entries worldwide to re-envision the Capitol Mall corridor of downtown Sacramento, an eight block civic boulevard with a wide grassy median but not much pedestrian activity. 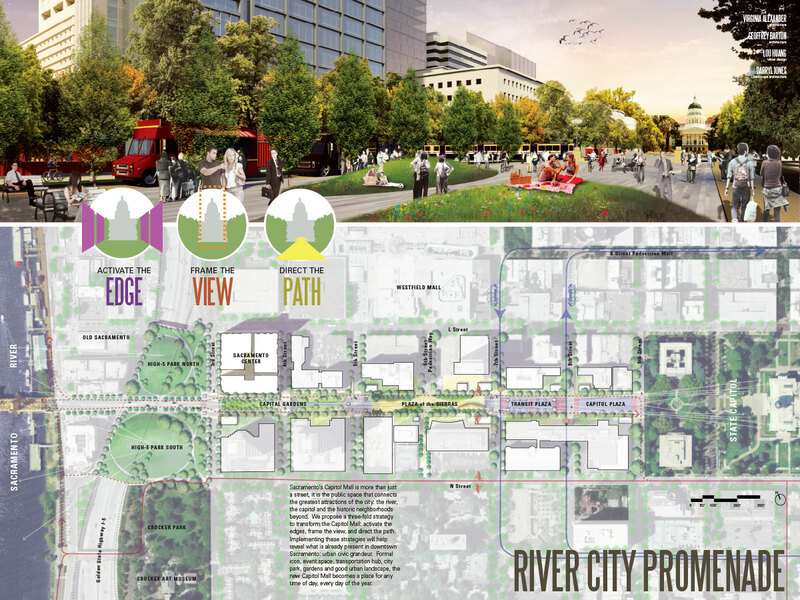 Our proposal brings people back to the Mall with three principles in mind: to activate the edges of the mall, frame the view of the Capitol, and to direct visitors down a path from the river to the civic center. 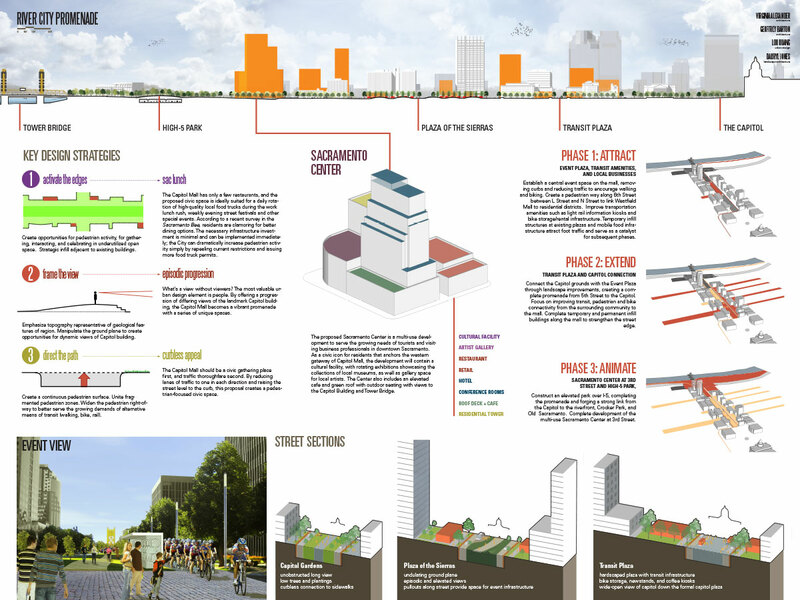 A sequence of different pedestrian zones create a procession of views and experiences from natural to higher order. 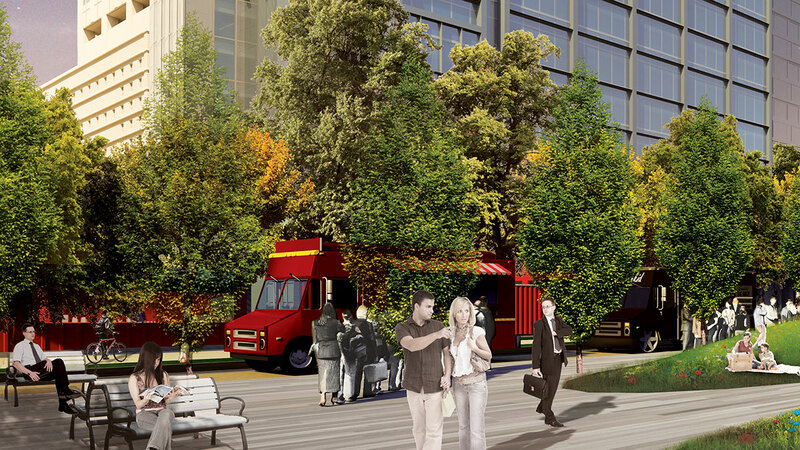 Strategies to activate the space include removing a lane of traffic in each direction, removing curbs, encouraging food trucks and other periodic events, and infilling buildings to create a better street edge. As the city lacks funds to implement large projects, each component of the Promenade plan can be implemented separately until the final space is realized.